Today’s RANT is being written in stages, the first between Montreal and Minneapolis Friday night and the second Sunday morning, en route between Minneapolis and Denver, with the third and final stage to be completed Monday morning. Given the unending torrent of “horrible headlines,” I wanted to use my flight time to commentate on the myriad news items, and propaganda, around us. Let’s start with Friday’s insane activity, particularly the NEW ALL-TIME HIGH in market manipulation observed across the board. Since Tuesday’s watershed GLOBAL QE EVENT, the Dow has been propped up by PPT buying more than at any time I’ve ever observed. Not only has the Dow been vehemently supported above the KEY ROUND LEVEL of 12,000, it simply has not been allowed to turn red for even a few minutes. Meanwhile, the markets most amenable to MASSIVE, WORLDWIDE MONEY PRINTING – gold and silver – have been so viciously capped, it is hard to believe anyone can no longer see it. Not to mention, on Friday we saw a huge miss versus “whisper numbers” of the monthly NFP jobs report, despite the popular propaganda that it was “in-line” with expectations. For perhaps the fifth time this year, the comical “ADP employment report” came out Wednesday way above “expectations,” prompting giddy media shills to proclaim the end of the recession. However, as usual the ADP report had absolutely zero predictive value of Friday’s NFP report, which was roughly in line with the cruddy expectation of 120,000 job additions during the month in which hiring of temporary holiday shopping workers is greatest. In other words, please remember the #1 rule of economic data propaganda. If the ADP report is “stronger than expected,” shout how bullish it is from the rooftops, but if it is “weaker than expected,” completely ignore it. Moreover, no matter how many times the NFP report fails to correlate with the ADP report, continue to hype it up so it can be positively spun when needed. The job report itself was another dud, highlighting not only how weak the U.S. economy is, but how desperate the government is to ‘make a silk purse from a sow’s ear.’ Yet again, with barely any statistically significant change in overall jobs creation, the government reported a HUGE drop in the “unemployment rate,” this time from 9.0% to 8.6%. Yes, despite the 120,00 jobs reported being EXACTLY in line with expectations, the reported 8.6% unemployment rate was a huge 0.4% BELOW the expected 9.0%! Publishing such rubbish is a mockery to the American public, which has seen REAL U-6 unemployment rise to near 1930s Depression levels. The reason for the lower unemployment rate is the same as always – more and more people dropping out of the labor force due to expiration of unemployment benefits, and thus a lower amount of “unemployed” as the evil, twisted Bureau of Labor Statistics defines it. In fact, labor force participation collapsed last month to 64%, the lowest level in 28 years, while the average unemployment duration period shot up 4% last month alone! And speaking of misleading economic data, who better than America’s worst company, General Motors, to lie about its “progress” since miraculously emerging from bankruptcy two years ago? Aside from making the world’s worst cars, compiling one of the highest corporate debts in history, and being run into the ground by the world’s worst executives and most destructive labor unions, GM can now claim the title as the world’s most aggressive channel-stuffers. Remember, when you are majority-owned by the U.S. government (as in the case of Freddie Mac and Fannie Mae), your objective is to maximize output, NOT profits. And minimize profits they certainly are doing, as dealer inventories hit an ALL-TIME RECORD this month, as GM sets itself up for the quickest return to bankruptcy in global history! And speaking of guns, I see the war drums beating still louder over Iran, where despite the “consensus belief” that nothing will happen, the inflammatory rhetoric seems to rise a few decibels each week. This weekend the Iranian army appears to have shot down a U.S. drone flying reconnaissance (i.e. spying) over the world’s second largest oil producer, and don’t think this situation cannot escalate dramatically in a short period of time, particularly during an election year with the incumbent President’s approval ratings at an ALL-TIME LOW level. Separately, the U.S. national debt EXPLODED higher each week, and despite the incredible ado created over the August ‘debt ceiling debacle,’ no one seems to care that the “Super Committee” failed to approve cuts by so much as a PENNY, laying the groundwork for a massive, $1.2 TRILLION debt ceiling increase with ZERO corresponding spending reductions. Despite claiming it would further reduce U.S. debt ratings if legitimate deficit reduction plans were not drafted, S&P has said NOTHING about the Super Committee failure. Moody’s, too, hasn’t even addressed it, and the best Fitch could do was reduce the U.S. outlook to “Negative” from “Stable.” I cannot imagine the level of political pressure being placed on those three firms to remain silent, but have no doubt bribery and coercion are a major part of the government’s approach to “dealing with” this “national security” issue. …while the newest Goldman Sachs Central Bank planner, Mario Draghi of the ECB, prepares to completely destroy the Euro with ZIRP, and potentially another €1 TRILLION of additional, FRESHLY PRINTED MONEY! ECB lines up €1 trillion rescue – MEGA CHIONG! …or perhaps the Fed will do it for him, or with him, as the two prepare to DESTROY the world for the benefit of the TBTF banks! In Portugal, the failing government proves my point further regarding why one must consider moving assets to nations with reduced political and financial risk, such as Canada. Following in the footsteps of the U.S. government during this summer’s ‘debt ceiling debacle,’ Portugal has officially stolen nearly €6 billion of pension fund assets to pay down its SKYROCKETING, hopelessly irredeemable debts. But feel comforted, hard-working Portuguese citizens – the theft of your life’s savings will allow your profligate, sociopathic leaders to stay in office another two months or so. As usual, both the media and investment community fail to see the key financial trends of the day, such as imminent bankruptcies (i.e. Commerzbank and American Airlines), soaring unemployment, and, right under their noses, expanding currency crises. While the Wall Street Journal, New York Times, and other GARBAGE PUBLICATIONS mislead readers by focusing solely on the “dollar index,” currencies around the world are CRASHING amidst the early stages of GLOBAL MELTDOWN II, a trend which will dramatically intensify in 2012. Given the South Korean Won’s 20% freefall this summer, DESPITE being Korea being one of the world’s stronger economies, it should surprise no one that its Central Bank is aggressively buying gold, nor that Indian citizens have been maniacally a adding to positions amidst a nearly 20% decline in the Rupee since August. Yes, readers, this “flight to quality” is the unintended consequence of the Frankenstein monster-like global fiat currency system that is destroying the financial world today. Investors are not fleeing to the dollar because it’s safe, but because it’s more liquid than other currencies, which in turn enables the Federal Reserve to print as many as it desires. As opposed to my analogy of Jack and Rose racing UP the ship as it starts to sink, the bastardized, mangled global currency system, in essence, is causing national central banks to race DOWN the ship toward the most flawed, overvalued, and ultimately, most vulnerable, currency! And finally, before I nod off during the last leg of my flight, and prepare for “Tebow Time” later this afternoon, I wanted to once again highlight the near impossibility of holding on to your capital in the PAPER financial markets, be it in general equities, bonds, or the majority of mining stocks. The article below depicts how, thanks to a COLLAPSING economy, MANIACAL PPT, and DOMINATING HFT algorithms, the S&P 500 has now fluctuated 1,234 points this year, or more than its entire value, while not changing in price AT ALL. Thousands, if not tens of thousands of retail, institutional, and sovereign investors have been DECIMATED in 2011, and if you think that’s bad, just wait until 2012! Next up, I want to discuss one of my favorite topics, and perhaps one of the most important, and BULLISH, for those considering initial, or additional, investments in PHYSICAL silver. That topic, of course, is the continuing collapse of open interest on PAPER metal exchanges, particularly the New York COMEX crime den. As long-time readers know, my long-time opinion regarding the likely direction of COMEX open interest has been contrary to the consensus. The prevailing thinking has been that as the PM bull expands, so will open interest, eventually leading to the piddling COMEX inventory being taken out, yielding a force majeure event that ends the COMEX’s criminal grip on PAPER gold and silver prices. However, I have long held that the COMEX inventory either doesn’t exist or is encumbered, yielding the likelihood that essentially ALL inventory data are outright LIES. 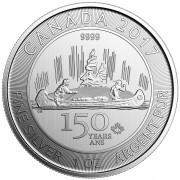 For instance, the fact that COMEX physical silver inventory uncannily refuses to budge below 100 million ounces – even during periods of EXTREME demand – should speak volumes about the fact that “something is rotten in the state of Denmark.” But STILL the “investment community” believes the government-published data, no matter how illogical it seems. But then again, that’s why I support my conclusions with empirical evidence, such as the fact that COMEX silver trading volume PLUMMETED 42% in November, a direct result of the MF Global collapse at the end of October. But this trend of plunging open interest started nearly two years ago, accelerating this Fall as an ‘unintended consequence’ of the Cartel’s desperate, last-ditch attempt to hold PM prices down via “OPERATION PM ANNIHILATION,” as can be seen clearly by the charts below, particularly in the far more manipulated PAPER silver market. First, we see that open interest has fallen to levels last seen during the height of the Cartel’s violent PAPER attack during GLOBAL MELTDOWN I in late 2008, and before that mid-2006. In other words, today’s COMEX open interest, with silver prices hovering around $33/ounce, is the SAME as when silver prices were $13/oz in 2006 and $8/oz in 2008! Ditto for COMEX gold open interest, which per below peaked at 650,000 contracts a year ago, when gold was below $1,400/oz, compared to just 420,000 contracts today, with gold at roughly $1,740/oz. Next up, let’s look at “Commercial” short positions in PAPER gold and silver, which I have “quotes” around as they couldn’t be further from commercial gold and silver users. Plain and simple, the “Commercial” category is JP Morgan and the other collusive, U.S. government-funded CRIMINAL BANKS that steal your money each day. In COMEX gold, the Cartel has continually increased its short position through the entire ELEVEN-YEAR bull market, which is EXACTLY how they have been able to CAP the market’s persistent, unstoppable rise. However, you can also see the gold commercial short position peaked more than a year ago, to be more specific September 2010 at 302,000 contracts, at a time when gold was just $1,310/ounce. Not that the “commercials” could ever extricate themselves from such an enormous short position without driving prices into the stratosphere (don’t worry, they won’t try because their shorts have explicit U.S. government backing), but today we have seen the “commercial” short decline to just 193,000 contracts while the price simultaneously rose to $1,740/ounce. In COMEX silver, the numbers paint an even more dire position of PHYSICAL tightness, as not only has the “commercial short position” been steadily shrinking for six years, but is actually threatening to go positive in the coming months. As you well know, I believe short-term charts are WORTHLESS in a rigged market such as the COMEX. However, long-term charts are extremely valuable due to the MASSIVE support and resistance levels CREATED by such manipulation, and this chart is SCREAMING that silver is preparing to launch higher. Finally, I created a new way to measure the dying influence of the COMEX, the ratio of Open Interest to price. This ratio summarizes the earlier data, demonstrating that rising gold and silver prices no longer are drawing increased PAPER trading volumes, but to the contrary decreased volume. In other words, traders and investors alike are shunning COMEX trading entirely, seeking alternative means of PM investment. Obviously, the respective November 2004 and April 2006 launches of the criminal bullion ETFs, GLD and SLV, started the trend of reduced COMEX futures trading. However, these six charts demonstrate this trend has clearly ACCELERATED in the past year, not un-coincidentally since “D-DAY” on November 9, 2010, the day I have pounded the table about all as a MAJOR INFLECTION POINT in Cartel strategy, when for the first time they exhibited FEAR and realized they needed to DRAMATICALLY step up manipulation intensity if they sought to prevent the PM market from melting up. And step it up they certainly have, as I have exhaustively PROVEN via a year’s worth of (more than 160!) RANTS, particularly my manipulation opuses, “COMEX GOLD MANIPULATION PICTORIALS, VOLUMES I, II, AND III.” Part III was published last week, with links to Parts I and II within. I have also demonstrated that the discounts to NAV, or Net Asset Value, have been slowly increasing over time for GLD and SLV, and given last month’s GLD dilution threshold change (hidden secretly in their prospectus), you can bet that its discount to the price of REAL, PHYSICAL gold will increase further in the coming months and years. Readers, as the COLLAPSE of the global financial system accelerates, you will see dramatically increased market volatility, and dramatically intensified attacks (and rebounds) in precious metals prices, such as this morning’s typical, unprovoked gold DEATH STAR ATTACK whilst all other markets sat quietly (foreshadowed by Friday’s blatant attack on the HUI mining stocks, of course). However, if you look at the data, it should become crystal clear that the influence of PAPER manipulation on gold and silver prices is waning, more so than at any time in the ELEVEN-YEAR PM bull market. It is only a matter of time before COMEX trading CEASES to impact prices at all, and all one needs to do is watch the ratio of PAPER instruments such as COMEX Futures and bullion ETFs to that of REAL, PHYSICAL gold and silver to see how quickly this trend unfolds. And for the millionth time, DO NOT assume PM mining shares will suddenly become market darlings. Yes, it is likely they will move higher when the Cartel is finally broken, but how much higher, and at what risks? PHYSICAL gold and silver will increase more than 99% of all investments in the HISTORY OF FINANCIAL MARKETS, with essentially NONE of the risks, and secondarily may be able to save your life in an environment where PAPER investments become worthless. Furthermore, take it from someone that has not only owned huge positions in mining shares for the past decade (until this spring, when I went 100% physical), but has worked as an advisor to, or officer of, mining companies for more than five years. Cumulatively, I find mining companies to be among the worst managed in the world, partly due to their failure to acknowledge government price manipulation, but also a general lack of understanding regarding the myriad operational hurdles in front of them. To wit, in response to Eric Sprott’s brilliant piece last week, “A Call to Action,” in which he vehemently encouraged silver miners to withhold production due to depressed silver prices, the ONLY public answer he received was this pathetic lip service from Coeur D’Alene, historically the “worst of the worst” in terms of management savvy, that they would “consider” such an action in the future, but not until they first build a “sufficient cash cushion,” as if their current $208 million cash balance is not cushion enough! Many small investors who manage their own portfolios face a serious concern. Even after a decade of researching and investing in the metal sector in both physical and the mining shares, the answer to this question has not been answered. At what point will the top metal experts advise metal investors to go 100% physical with no shares ? 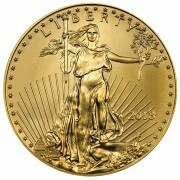 King World News has several expert guests who are well respected in the metal investment world. They all still promote the shares, stating they will outperform bullion in the near future. Every one of them also has income from firms selling shares. Now, you are advising investors to go 100% bullion but, you have a vested interest in promoting bullion sales working for a company that sells bullion and no shares. Many small investors are caught in the middle of this advice and ignoring this question helps none of us. If you truely believe the time is now to go 100% bullion, why are so many respected metal experts advising to buy more shares ? Will you please help answer this ? Thanks for your excellent question, one of the best yet. There is no simple question, particularly as there is no “correct answer.” Each person is different, as is each “top metal expert” (whatever that means). Many such experts also have businesses to tend to, be it bullion sales like myself, share investing like John Embry, or both, like Eric Sprott. 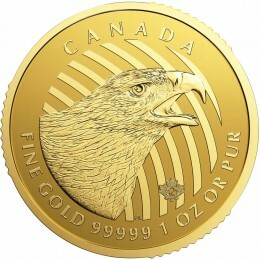 And then there are guys like Jim Sinclair, who has a mining company, and Richard Russell, who has a newsletter with trading advice, etc., etc., etc..
As an educated investor, you must decide what is right for you, depending on your appetite for the pros and cons of investing in bullion, shares and other investments. Hopefully my exhaustive writing (175 posts this year alone) has given you an idea what I’m all about, particularly as, until October 27th, I was a Managing Partner at Torrey Hills Capital, the largest U.S.-based Investor Relations firm focused on the mining sector. Thus, while being in the business of marketing stocks, I spent all my time writing about PROTECTING YOURSELF, and had significant disagreements with management as I continued to write what I thought would HELP people, despite the fact that it was counter to the best interest of my firm. Not only did I continue to write what I believed, but I sold ALL my mining stocks this summer and went 100% physical personally, MONTHS before joining Miles Franklin. I write from the heart, and am 100% behind my writing with my personal investments. Thank You for responding to my difficult question. I sincerely appreciate all the posts that You have graciously shared. It may be asking too much for John Embry, Eric Sprott or Jim Sinclair to ever advise 100% bullion. I agree, the responsibility lies with each individual investor. Bullion has no risk and all mining shares do. I have known for years that this time would come. I still hold several great junior miners that have everything going for them but, in this unprecidented world financial crisis, everything paper could collapse in value suddenly. I guess I was foolishly hoping all the manipulation would somehow end soon. The truth is, as You have graciously pointed out over and over, it is getting worse every week ! For small investors, it is time to go 100% bullion and stock up on food and other survival necessities ! Again, Thank You for caring so much ! I had to chuckle a bit at Coeur D’Alene’s comment about a “cash cushion”. 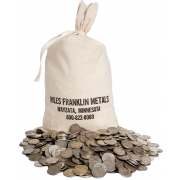 If the fiat currencies implode like sovereign debt is now in the process of doing, Coeur D’Alene will REALLY wish it had a silver cushion and not a trash… er, cash… cushion! CDE is one of the worst run of the sorry senior mining firms. I met long-time CEO Dennis Wheeler circa 2005, and a more unpleasant man is hard to find. Not to mention, one vehemently denying silver price manipulation. The window for mining company stocks to rise will be narrow, so they better think of something clever soon. I thought as you for many years, but I’ve seen too much to be so idealistic. Moreover, I do believe all-out financial collapse is coming, and the last thing I want to do is be RIGHT about my prediction but WRONG in how I act on it! Excellent advice here. I especially like the COT report analysis. I also think Gene Arensberg of Gotgoldreport has excellent analysis on the COT report.